Hello! My name is Din Gior. I’m going to tell you briefly about my Art Tattoo & Piercing Studio, situated in the heart of Kyiv at 9B Basseina str. 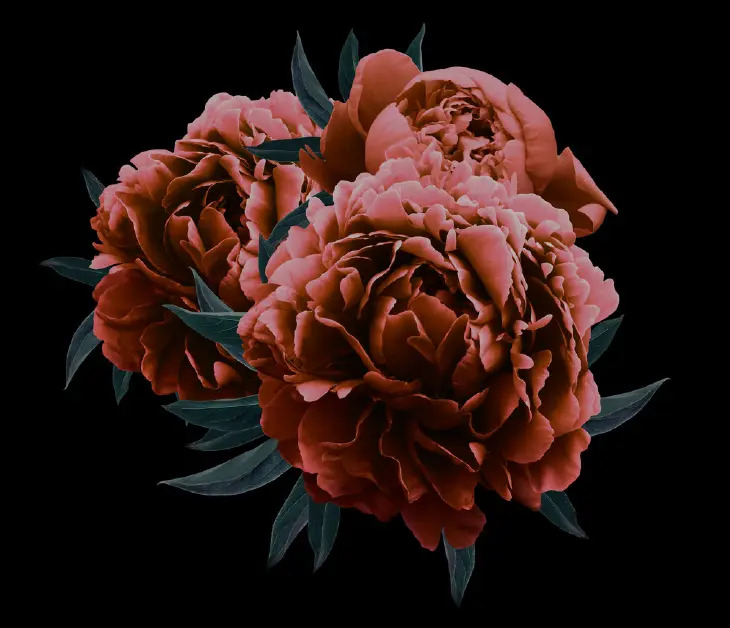 Now, I’m going to introduce you to our tight-knit DIN GIOR team and show you why our tattoo artists are simply the best! Let’s start with me. I have a lot of tattoos on my body, and when I started living in Kiev, I wanted to continue sleeving up. 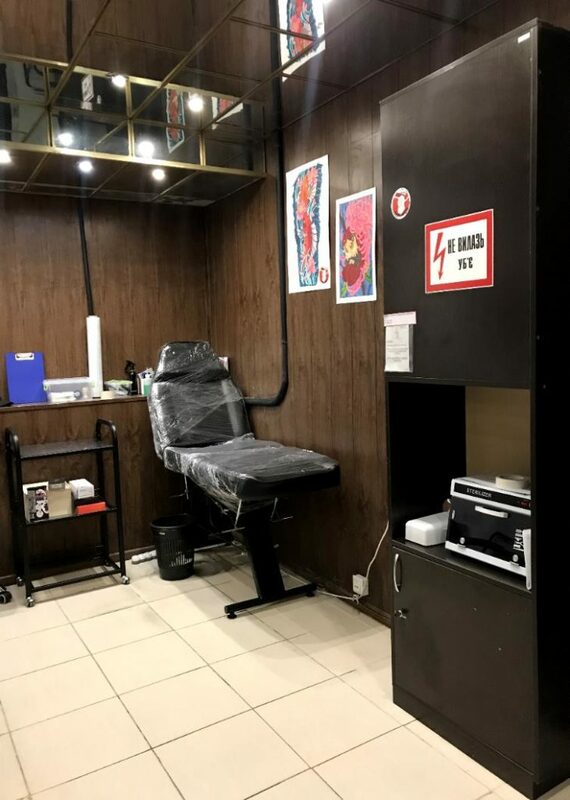 I googled tattoo parlors, and found a large and respectable one that was (and, by the way, still is) situated in the Podil district. I came with my own sketch, so the artist just had to transfer the picture to the forearm. And so he did… or, rather, tried to. The contour was uneven, the lines were all blurry, but worst of all, the “artist” did not even try to keep to the sketch and the colors in it, so I had to stop the session while I still could. And at that moment, I had my lightbulb moment: I could start my own tattoo studio in Kiev, better than all others. Now, I can proudly confirm that I managed to do it! First of all, my tattoo studio employs only the BEST tattoo artists who offer every client a personalized approach and have an impressive portfolio. 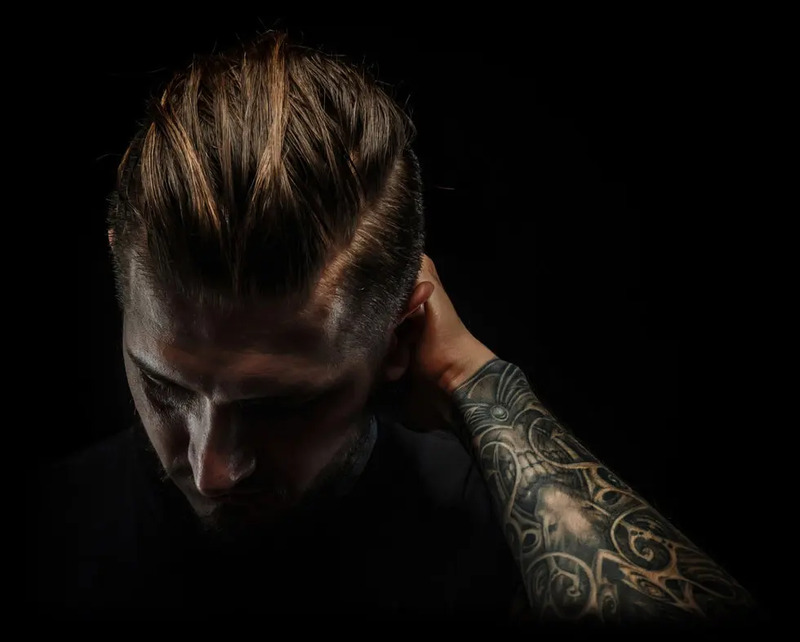 All of our artists boast multiple professional achievements and an exemplary track record: experience of working abroad, tattoo festival awards, certificates from European workshops, etc. They are undoubtedly the best artistic tattoo professionals. We guarantee that your tattoo will be done COMPETENTLY! Also, our tattoo artists will help you through the healing process by staying in touch and answering your questions. Our clients are our priority. Secondly, my studio provides all kinds of piercing services, no matter how complex. We can tattoo any part of your body, limited only by your imagination. The best tattoo artist in Kyiv is employed by my studio! But enough talk – come and see for yourself. By the way, DIN GIOR Tattoo & Piercing offers most reasonable piercing prices with a wide range of jewelry for any type of piercing. 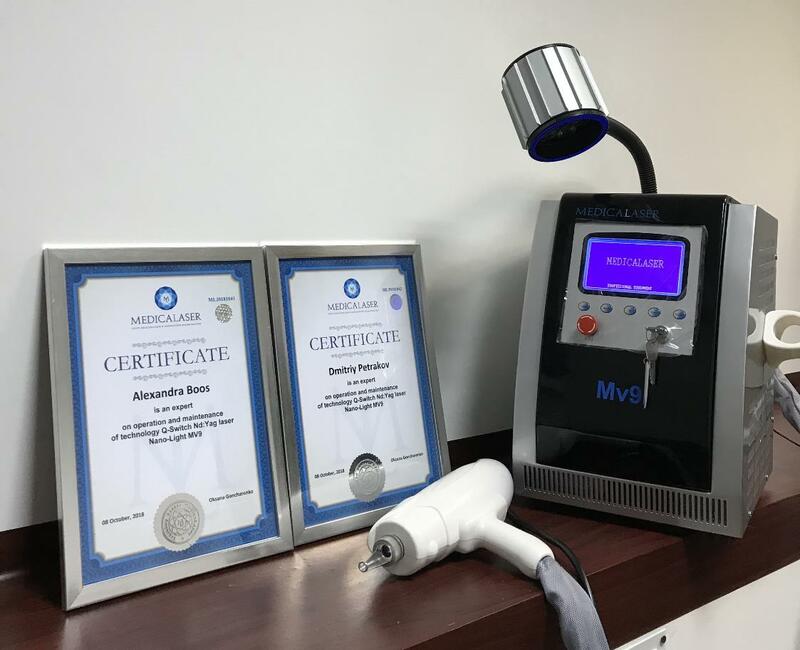 Thirdly, if you have previous experience of working with subpar tattoo artists and want to get rid of the results of their “work”, or if you don’t like one of your tattoos anymore, our certified professionals will remove the tattoo with a state-of-the-art neodymium laser. By the way, the neodymium laser never leaves any scarring. After the removal, you can cover the same body part with a new artistic tattoo. 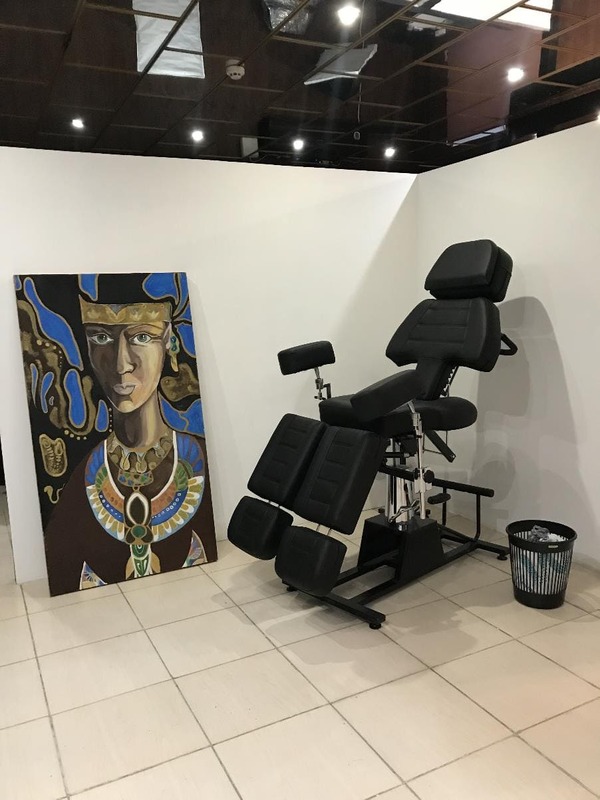 Of course, the best place to do your new tattoo is DIN GIOR Tattoo & Piercing Studio – and the result will exceed all your expectations! 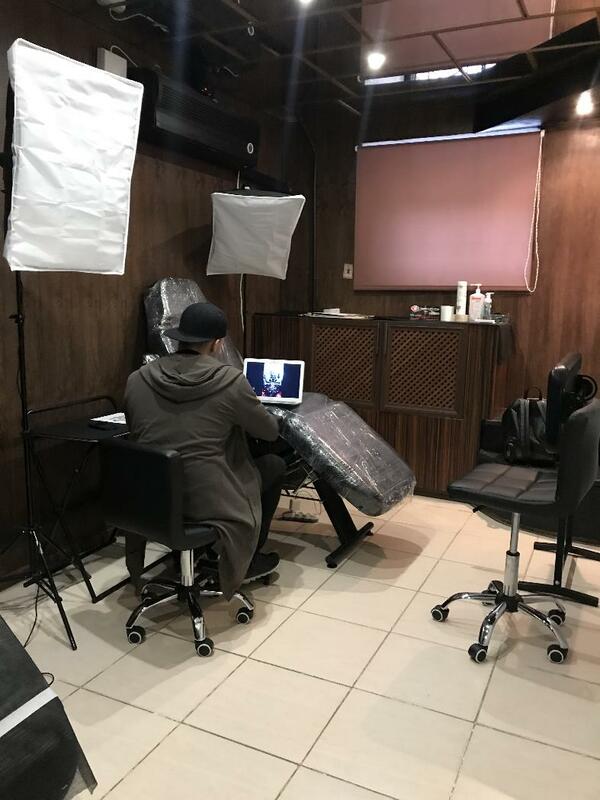 Fourthly, my tattoo artists are happy to share their experience with people eager to learn and complete a tattoo and piercing course. The tattoo and piercing courses are customized and easy to fit into your work or study schedule. Our course instructors will provide you with everything you need – from equipment to tattoo and piercing models. The courses are conducted at my studio using cutting-edge equipment and a special program. Upon completion of your artistic tattoo or piercing course, you will receive an international standard certificate. Fifthly, we also offer permanent make-up. 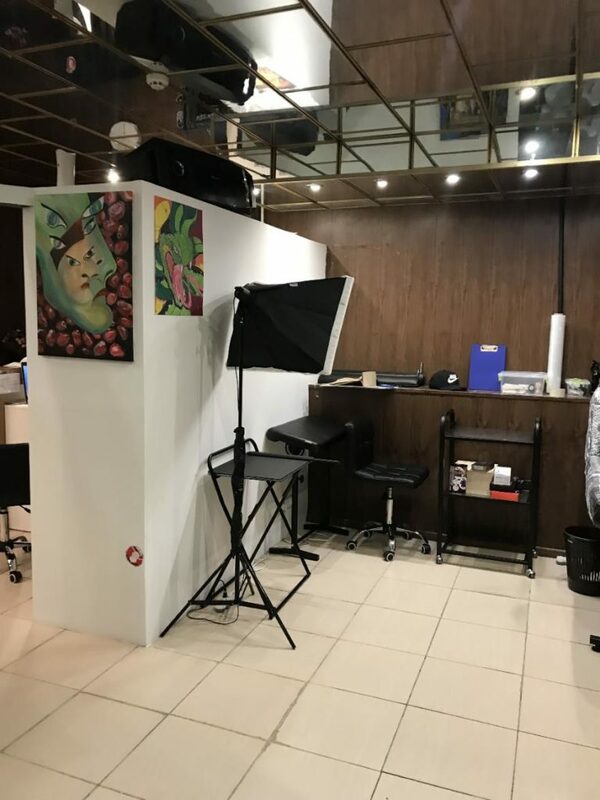 DIN GIOR Tattoo & Piercing artists use special techniques that will help to make your face even more attractive, emphasizing your beauty with eyebrow and eyeliner arrow tattoos, or making your lips more voluptuous. Your permanent makeup will last incredibly long! We are happy to make the dreams of courageous and creative people come true. DIN GIOR Tattoo & Piercing doesn’t put any limitations on the client’s imagination, and I believe it’s the key to success. Only the best, and only for you! I can vouch for the professionalism of my artists – come and see for yourself! You can trust the DIN GIOR Tattoo & Piercing professionals. Our tight-knit team will guarantee the best results, excellent jokes and a lot of good mood.